Fisher-Price Little People Nativity Set Just $29.99 Down From $44.99! PLUS Noah's Ark Just $24.99! You are here: Home / Great Deals / Christmas Deals / Fisher-Price Little People Nativity Set Just $29.99 Down From $44.99! PLUS Noah’s Ark Just $24.99! Fisher-Price Little People Nativity Set Just $29.99 Down From $44.99! PLUS Noah’s Ark Just $24.99! Fisher-Price Little People Nativity Set Just $29.99 Down From $44.99! Right now you can get the Fisher-Price Little People Nativity Set for just $29.99 down from $44.99! Plus have it shipped to your store for FREE! Joseph, Mary and the baby Jesus share the stable with their animal friends in this Little People re-telling of the Christmas Story. Place the angel atop the stable to activate the light-up star and hear the holiday favorite “Away in a Manger” play. 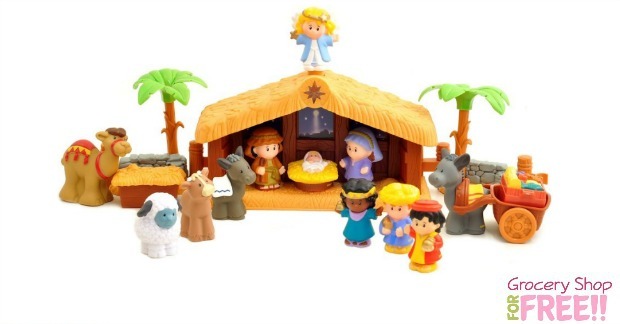 The perfect size for little hands, the Fisher-Price Little People nativity set is the perfect introduction to the story of the birth of Christ for young children. You can also pick up this Fisher-Price Little People Noah’s Ark Playset for just $24.99 down from $34.99, too! 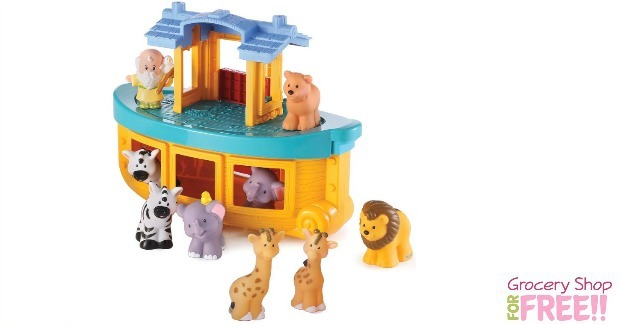 Inspire their imagination with this Fisher-Price Little People® rendition of Noah’s Ark. The figures are just the right size for a toddler’s grasp and the pairs of animals encourage simple matching. Your little adventurer can take them all to safety as he pretends to navigate the great flood! All pieces store inside of the ark for easy clean-up. Ark does not float.